Crowdfunding — the process of funding a project, product, or business via money collected from a crowd — has continued to grow the last few years. Where it was once a confusing and somewhat skeptically regarded way to launch a business, it’s now considered a totally viable option. The only problem? It can be really intimidating to launch a crowdfunding campaign when you don’t know where to begin! 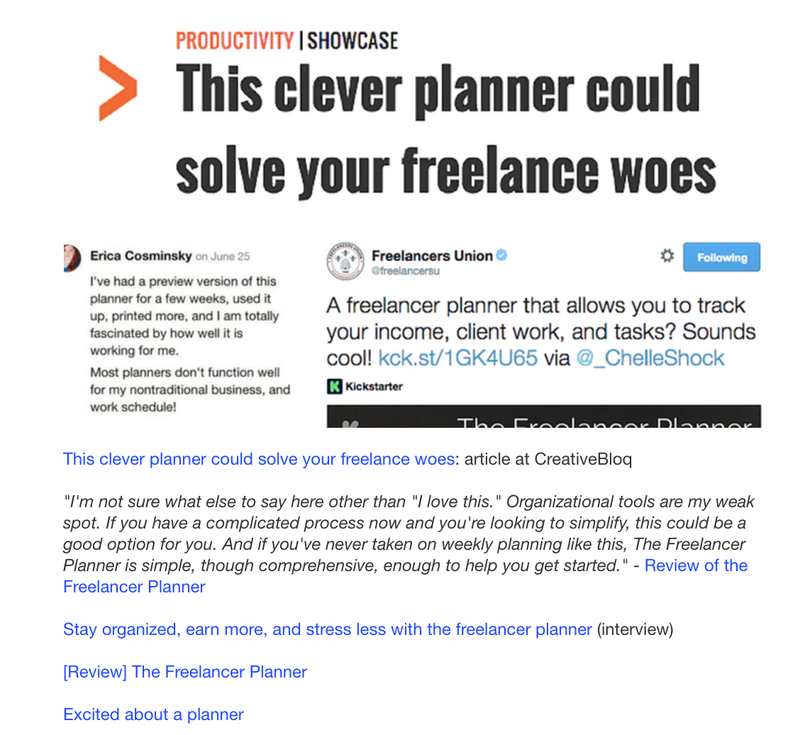 In June of 2015, I launched my first Kickstarter — a campaign to help me create the Freelancer Planner. With the final tally putting it at being funded over 150%, it’s safe to say it was a success. I learned a lot along the way about what can make or break a crowdfunding campaign, and I’m here to share it with you today. First, let’s have a look at the most popular crowdfunding websites and understand how they are different. Pros: Kickstarter is the most well-recognized crowdfunding platform. Even people who aren’t well-versed in online business typically recognize their branding and understand what a Kickstarter campaign is. That makes it a lot easier to pitch a Kickstarter campaign to journalists, for example. Cons: When you run a Kickstarter, you have to reach your goal, or you won’t get any money. If you’re five dollars short when the clock runs out, that’s it — no funding for you. You’re validating an idea. This means that you’re not actually sure anyone wants your idea — before funding, your campaign has to meet a minimum goal (which can be the minimum cost of production, or wherever else you set it). That can sound like a downside (and it can be in some situations, which is why you should set the goal as low as possible while still being practical), but it’s better than only getting ten orders and still having to fulfill them with only a very small amount of money. Your target market is people who are less tech-savvy. People in that group are more likely to be confused by or less familiar with IndieGoGo or self-hosted crowdfunding tools, and are less likely to trust them. You don’t have a huge audience yet. Kickstarter’s market is the largest out of the major crowdfunding players, so you’ll reach new customers through their on-site discovery features. In my case, almost 20% of my funding (18.82%, to be exact) came through Kickstarter’s discovery tools and category listings, and I do have an established online following — that’s the power of hosting on Kickstarter. Pros: IndieGoGo’s main differentiator from Kickstarter is that they offer an option called flex-funding. If your campaign has flexible funding turned on, it means that even if your goal isn’t met, you’ll still receive the money. Cons: IndieGoGo has been making strides in becoming a leader in crowdfunding in their own right (including their equity crowdfunding features, letting anyone become a startup investor and receive equity for doing so), but they still don’t have quite the same recognition as Kickstarter, especially for ecommerce ventures. You’re funding a second round of products. For example, in my case, I ran my first crowdfunding campaign on Kickstarter to validate the idea and make sure I wouldn’t be spending time, effort, and money on a product that only a very small amount of people wanted. Now that it’s a year+ later and most of my backstock has sold out, I’ll be funding the second round of printing via an IndieGoGo, since I already know it’s a product that people want and using flexible funding isn’t going to leave me stuck with an impractically low order number. You don’t have to worry about minimum order requirements. If you’re collecting general launch your business funds, or you’re making something by hand, and thus don’t have to worry about meeting a minimum order metric, IndieGoGo and its flex-funding option could be a great choice. Pros: With Celery, you don’t have to pay as much of a cut to payment processors as you do with Kickstarter and IndieGoGo. It also seamlessly integrates with ShipStation, which makes fulfillment easy when it comes time to ship your products. Cons: You don’t have the platform of IndieGoGo or Kickstarter behind you to help get your product in front of new people, or the associated branding legitimacy that those platforms lend to your product. I actually wouldn’t recommend Celery (or another DIY crowdfunding option, like setting up a buy-button on a landing page on your site) for crowdfunding. It’s great as an in-between option to let customers pre-order during the time between your campaign ends and your products start shipping, but through observing others as they ran their own self-hosted (meaning, not hosted on IndieGoGo or Kickstarter) crowdfunding campaigns, it’s much harder to get the momentum needed, capture the attention of journalists and bloggers, and get in front of new people with a self-hosted crowdfunding campaign — and those are all things that can make your campaign much more successful. How big your goal is. If you have a very large goal ($20,000 or more), having a longer run-time might give you more time to reach and exceed that goal. With my campaign, I chose to run it for 35 days. It was a fairly modest goal (just shy of $6,000), and I felt like I could keep up momentum for a month (and a few extra days) without getting burned out or affecting my health. That put the campaign wrapping up in late July, the money being deposited in August, and plenty of time for me to fulfill the orders before January 1st of the next year (which is when everyone would want their planners, naturally!). Check and double (and triple) check your shipping prices — I was off by a few dollars on the shipping estimates, which adds up over 380 backers! The video for the Bullrest Travel Pillow, which clocks in at less than two minutes long. Write your campaign copy and your video script (and then record your video). You can look at other campaigns in your category to spy on how they structured their copy (and video) and how well their campaigns are doing — you’ll probably learn some good do’s/don’t’s from that. For your video, shorter is better. Your main campaign video should be as short as you can get it while still touching on the main features and benefits of your product. Don’t try to cover every single tiny thing about you, your background, your business, your inspiration, and your product in one video. It’ll wind up being too long. Instead, cut straight to the chase of why your product is needed and what makes it different from other options out there. If you want to, you can add videos that go more in-depth later on in the campaign page. In my case, after requests for more in-depth coverage on the details of the planner pages, I added a six and a half minute long video going over each page in detail. It was viewed over 1,000 times during the campaign, indicating that people did want to see more details. But even with that many views, that’s only a little over 20% of the views that the main campaign video got, proving that shorter is better. Directly before your campaign launches you’ll want to get a few good night’s sleep. You’ll be working on the crowdfunding campaign every day for the length of time it’s running, plus working on it quite a bit even after it’s wrapped and you’ve received your funding. Take care of yourself and make sure your body isn’t going to quit on you a week into the campaign because you’re running on fumes. Now that the campaign is running, a lot of your work is already done. That’s not to say you can cost, but your to-do list is much shorter and will mostly involve doing the same actions every day. Indeed, that’s the main rule for this part of your campaign — do something every single day. Maintaining momentum is crucial and when I slacked off on any of the below items for even a day, there was a corresponding drop in backers. Post every day. On Twitter, Facebook, LinkedIn, and any other places you’re active at, post about your campaign every day. Even if it’s just a simple post like, Hi friends! Here’s where the Kickstarter is at now…, it’s important to maintain momentum. Also, people are busy and they’ll miss some of these posts, but if you want to make sure the most people possible see the posts, the best thing to do is post more. Keep pitching people. You obviously want to stack most of your pitching to be early on in the campaign, but some publications or writers won’t cover a Kickstarter campaign until after it’s funded (meaning, after it’s hit 100% in funding, and is guaranteed to be funded). If you hear that from anyone, save their email and pitch them as soon as you hit 100%. Either way, once you’re funded, it’s a good idea to follow up with people you didn’t hear back from originally to let them know you’re over 100% and see if that makes them interested. Keep updating your backers. Aim to update your backers at least once a week, but more like every 2-3 days is probably better. If you hit your first goal, make sure to send out messages about stretch goals. Also, you can include click to tweet links in your backer updates and prompt your backers to share — many of them are happy to because they want to see the campaign succeed. Update your campaign page if necessary. If you’re getting a lot of questions about something specific, you’ll want it add it to the campaign FAQ or copy (or add photos or videos, like I did). You can also update your campaign page with the logos of press outlets or links to reviews, interviews, etc. that are related to the campaign, or with information on stretch goals after your original goal is hit. It’s also important to remember not to panic. Some campaigns pass their goal early on, but many aren’t funded until the last week (or the last 48 hours). Your per-day donation average is likely to go up later in your campaign, so if you’re halfway through but not halfway funded, don’t freak out. To run ads or not to run ads? I didn’t run any ads for my campaign, partially because I was on a tight budget, but also because Kickstarter (and IndieGoGo, for that matter) don’t offer the ability to embed a conversion pixel after someone completes the backing process. What that means is that, if you’re running ads, you can only tell when people are clicking on the ad — not that they clicked on the ad and then went on to become a backer. Because of that, it would be very hard to run effective ad analytics and be 100% sure that backers were coming from the ads and not some other source of traffic. So, if you have some extra money to spend on it, ads can be worth experimenting with, as they can drive a lot of traffic — but if your budget is really tight, ads aren’t the best place to put it, as you’ll have a very hard time tracking their actual effectiveness. Take a few days off. There’s about a two-week delay between your campaign wrapping up and the funds hitting your account, so you can take a day or two to celebrate and breathe. Contact your manufacturers ASAP. As soon as you have the campaign money, contact your manufacturers, put down your deposit(s), and confirm timeframes as far as production and shipping/fulfillment, so that you can relay that information to your backers. Try not to freak out. It’s totally normal for some delays to come up along the way and most crowdfunding backers expect it to some degree, so if things get behind by a week or two, try to remind yourself it’s not the end of the world. Stay organized with shipping. You almost certainly don’t want to handle shipping manually. Use tools like Stamps.com and ShipStation combined with a .csv format export of your backers to streamline the process. And…that’s about it. After that, you can pat yourself on the back — you’re now officially a crowdfunding veteran. Of course, once you’ve launched your product using crowdfunding, you’ll want to keep selling it. 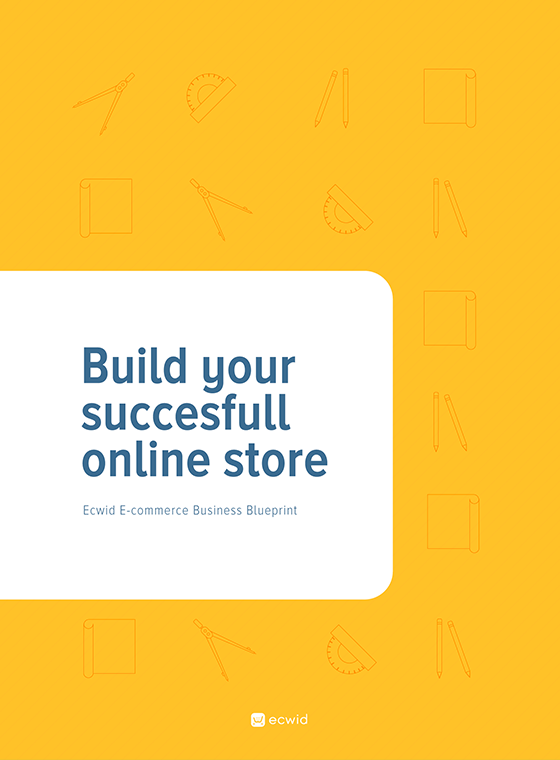 If you don’t have a home for your products online yet, sign up for Ecwid and give it a whirl.